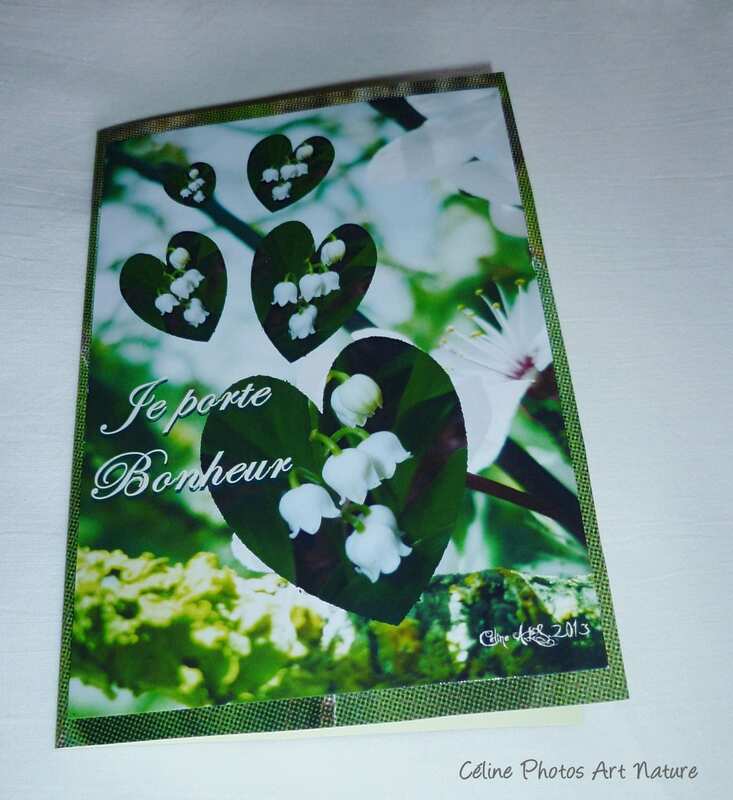 Card may 1st "Happiness" bells"
A gorgeous card flight of the hearts of the Valley, as a flight of petals and bells of happiness on a background of cherry blossoms, one of happiness to share with people you love for the 1st of May. I created this handcrafted greeting card is made with the signed print of two of my photos of the Valley and cherry blossoms glued on paper 180g, printed itself with another of my photos, a very nice impression of layering that gives relief and pleasure to the card. The inside is also printed lime green color. It is a double size 10x15cm, delivered with its ivory envelope. Notebook handmade 10x14cm lined blanket with photos of flowers "Mon carnet"
Double 10 5x15cm made from photos of flowers "Sweetness of spring"
Double 10 5x15cm made from a photo of a little Ladybug on a Daisy "Ladybug and Daisies"
Double card may 1st "Flight of the Valley"
Set of 4 cards postcards 10x14cm lined with pictures of poppies "Poppies"